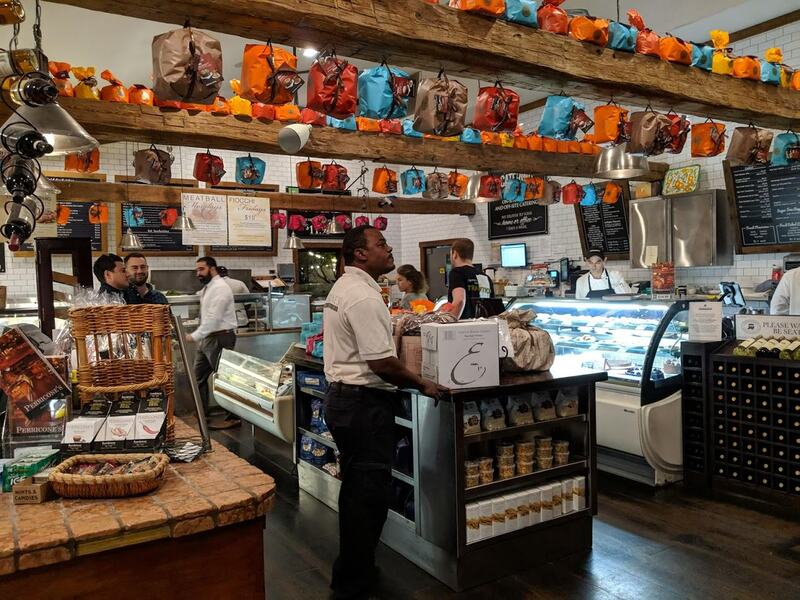 Perricone’s Marketplace in Brickell is one step closer to being demolished after the owner of the property applied for a demolition permit. 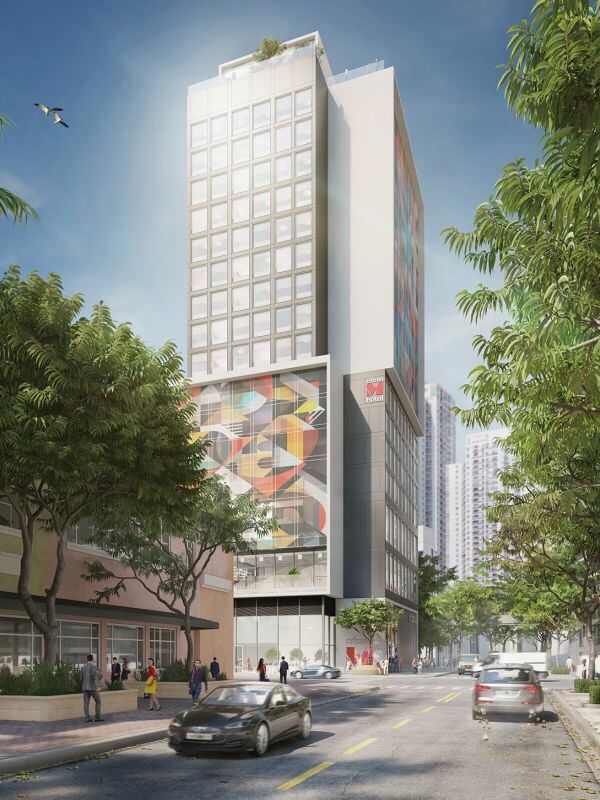 CitizenM Miami Brickell Properties, LLC filed for both a demolition permit and construction permit on November 30, city records show. According to the demolition permit, a 9,000 square foot building will be demolished at a cost of $165,000. Suffolk Construction is listed as the contractor. The preliminary construction permit lists a construction cost of $45,948,329. A total of 252 hotel rooms will be built over 19 floors, with Suffolk again listed as the contractor. A tree permit was applied for in September, but still hasn’t been approved. CitizenM purchased the property last year, but Perricone’s has remained open since then. This was the first restaurant that I went to when I got to Miami from Washington DC back in the 90’s. A lot of great memories there, it will truly be missed, but that’s life all things must come to an end. Please don’t build that CRAB. At least there is no parking.. amirite? Please save the beautiful trees onsite. I love that restaurant I hope it moves to another place. 45 mill for that building!? yikes! THIS IS THE SADDEST DAY IN BRICKELL HISTORY! This only reiterates the griddiness of our government! That lot on the corner is part of a TRUST which basically the city did whatever they wanted to with it! SHAME ON MIAMI! Buy the property and keep the restaurant or STFU!! I’m in agreement, but wake up man. This is Miami, this kind of stuff happens daily. Nah, the saddest day was the construction of the Four Ambassadors, which started the high-rise craze. Now don’t get me wrong, I love Brickell even with all its growing pains, but I wish redevelopment focused more on the north side of the river. We have Worldcenter coming, but Moshe Mana has let the heart of downtown rot further. You really don’t know what you’re saying, do you? What a constructive reply! What don’t I know what I’m saying? I’m talking what’s today known as infill, which Miami21 should’ve encouraged, but we still get vertical suburbia from waiver after waiver. Actually, it would have been preferable for Mana to buy Perricones because then nothing would get built. Esto es MIAMI no es Nueva York!! I am so sorry for the demise of Perricone’s and rest of Miami. We are the new Manhattan. There is a park on the east side of the site which Perricone’s used illegally and rent free for a decade. I hope all the trees stay. That corner is the last corner of Brickell that actually still looks like brickell. Brickell looks like a wanna be Manhattan. conrcrete jungle! Downtown will soon also look like a mini Manhattan and soon the whole Miami will look like Manhattan or even better. This is great! Plus with all NYers moving to town, it makes a lot of sense. Pizza Rustica is pretty good! 0 to 10. Whats your score? What? Worst Pizza I ever tasted. I take Pizza Hut over Pizza Rustica tasteless pie any day. Hope not! keep the gringos up north. But I thought diversity was good, as opposed to eighty-something percent Hispanic. Not when northerners want to come to Miami to change it and try to make it like NY. Amazing, beg this country to let you in and then tell the “gringos” that they are not welcomed somewhere in their own country. I was born here!, largate para el norte! New Yorkers are annoying as heck. Funny.. they think Miamians are a bunch of ignorant assholes! Same to you cabron. stay up north! if that’s the case then why are you in Miami? vete pa la pinga! I’m in Miami because I was born in Florida.. like my father before me and his father before him and his father before him and his father before him… um, where was your father born? You didn’t answer the question immigrant.. where was your father born? Actually, my ancestors are from modern day ARIZONA. so basically you’re in my territory! you european immigrant. Trump doesn’t think this is YOUR territory and he has ICE to back him up. Manhattan has a land area of 23 sq mi and population of 1.665 million. City of Miami has 36 sq mi land area and 463 thousand. We’ve got quite a way to go. And even at 36sq miles, Miami is still very small in terms of land size compared to almost any other city in the USA. If you want NY move to NY!!. MIAMI should have it’s own identity!! Why are you here then??? Miami-Dade is 2/3rds Hispanic, demographic reality, you’re the minority now and you’re all sad over it, time to reap what you sow gringo! You may be 2/3 now but Trump is going to do something about that. Brickell/Downtown are literally the urban core. They are supposed to be concrete jungles. That is the whole point. Can’t say I’m surprised. Everyone knows Perricone’s has been struggling the last few years–I’m glad their going out with whatever dignity they have left still in tact. All the new Italian eateries (everything la centrale to papa john’s) have been taking their slice of the “pie” so to speak. I had a delicious lunch at La Centrale yesterday for about what I would have paid for lunch at Perricone’s. And since when is Perricone’s cheap? More restaurants opening is exclusively a good thing.